Fantastic outdoor fun, great for low impact exercise. Helps to develop your child's motor skills. Length 80cm, height 53cm, handle width 44cm, seat width 20cm. All measurements are accurate to the nearest cm. Don't miss out on this fantastic Kiddo tricycle. 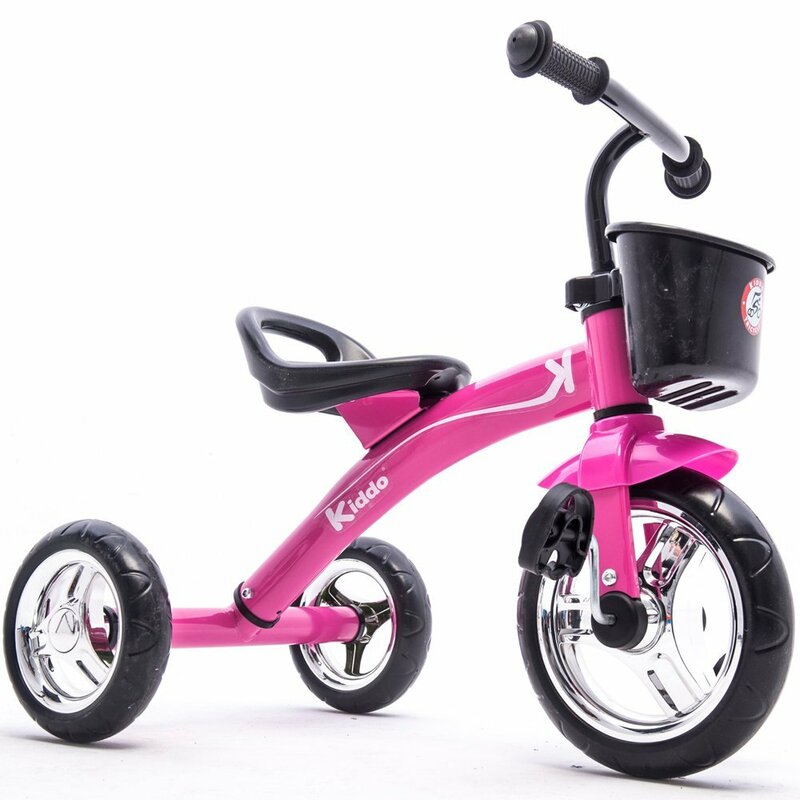 Be the envy of all your friends and ride around in style on one of our funky new Kiddo tricycles. Suitable for ages 2 to 5 years. Fantastic outdoor fun and great for low impact exercise. Helps to develop your child's motor skills. Tricycle size: Length 80cm, height 53cm, handle width 44cm, seat width 20cm. All measurements are accurate to the nearest cm. Colour: Red. WARNING AND NOTICE: Suitable for children aged 2 to 5 years. Adult supervision must be provided at all times. Please ensure tricycle is assembled correctly before use. Do not place heavy loads on trike. Maximum weight is 25kg. 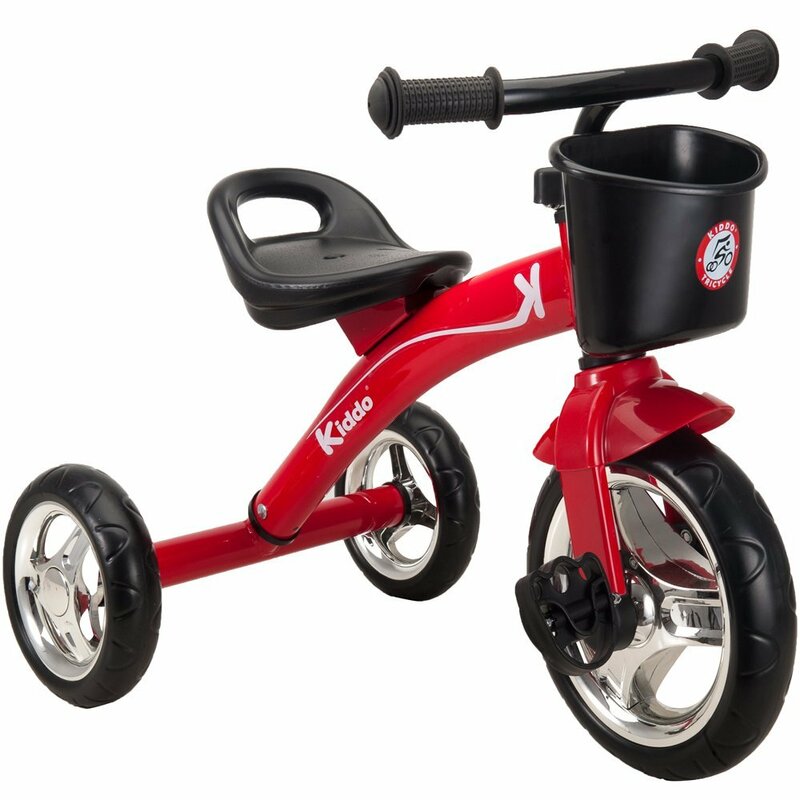 Keep tricycle away from any open fire, heater or furnace and busy or uneven roads to avoid damage. GENERAL MAINTENANCE: To maintain the safety and longevity of this product please follow the care instructions below: Clean the trike regularly with a dry cloth. Lubricate front and rear axle and handlebars regularly. Regularly check the screws, handlebars and seat connections and tighten if necessary. Regularly check for damaged parts and replace if necessary. Kiddo is a registered trademark. Extremely impressed - looks more expensive and our 3 year old loves it! A little tricky to build mainly because 3 year old was so excited and trying to help. Highly recommend. What a super little tricycle. Very simple to put together and feels very sturdy. Bought for 3 year old grandson and he loves it, cant get him off it actually. Loves putting his toys in the basket at the front and rides it around everywhere. Came on time as promised and for the price, it is definetly a winner all round. Would recommend this super little bike as,a first bike. Very happy with my purchase. Bought for my boys 3rd birthday. Was very simple to assemble and seems very sturdy. Well designed and a great buy! So easy to put together. Great looking tricycle. Really pleased. Delivered early too! Our grandson is over the moon with his new trike and the quality is 1st class. My 3 year old loves his new trike. 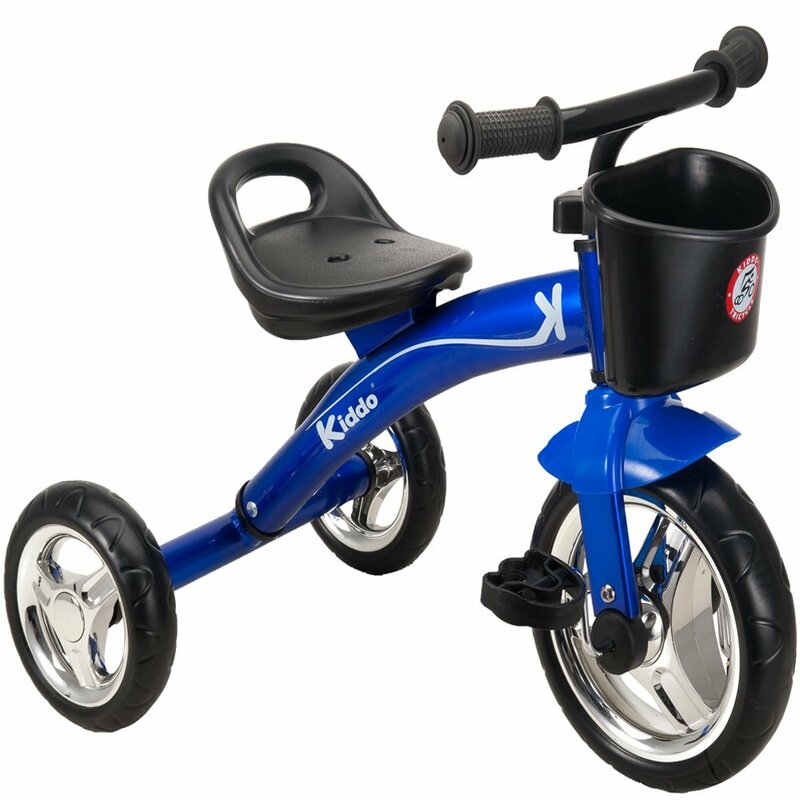 Absolutely fantastic little trike for my 3 year old. Bought as his birthday gift and he was chuffed. The wheels are not rubber but they are made of a very similar material and it looks like it will last well. Drives really smooth. Price is great too! My son loves this trike. Really impressed with the little trike, especially the basket on the front. Very good product. This is a lovely Trike, bought it for my three year old grandson who really loves it. It is really sturdy and well made and arrived promptly . Really pleased with it.